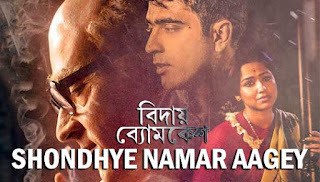 Shondhye Namar Aagey Lyrics from Bidaay Byomkesh Bengali Movie The song is sung by Ishan Mitra Starring: Abir Chatterjee, Joy Sengupta, Bidipta, Sohini Sarkar, Rahul Banerjee, Arindam Sil Sondhey Namar Aagey Song Lyrics written by Saqi Banerjee. 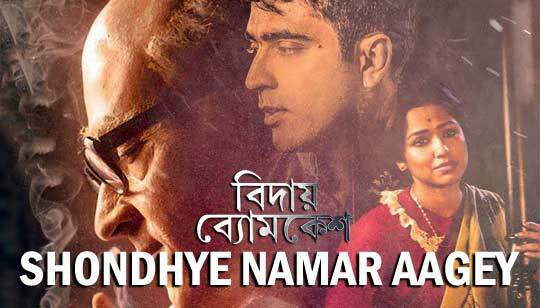 Producer: SVF Entertainment Pvt. Ltd.